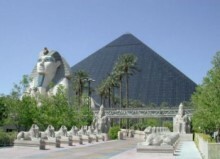 Transportaion From Cairo International Airport to hotels or vice verse. Hello! If you're looking for a professional and fun guide to show you the most formidable places in Cairo and not only, I will gladly join you as your Egypt private guide and make your trip a memorable one. My name is Anhar Cordy, and with 24 years of experience of a licensed tour guide I know how to present the beauties of ancient and modern Egypt from their best sides. I've worked extensively with English and Spanish speaking groups over the years, which ranged in numbers from two to dozens of people. And each time I greet visitors at the airport or the cruise docks, I do it with the brightest smile that guides them during our entire journey. 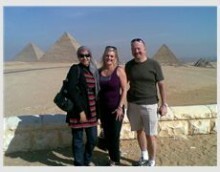 Egypt has always fascinated travelers from all around the world. Of course, the country's main attraction is its fascinating ancient history that left so many landmarks, most of which can be visited today. From the last remaining Wonder of the World, the Great Pyramid of Giza, to archeological excavations only specialists know about, I can take you to any part of Egypt and show you the most spectacular remnants of the ancient civilization. However, it's not the only part of the country that is worth visiting, and I always suggest taking shore tours from Alexandria to Port Said to get a different on Egypt. Whether enjoying a long stay or having only a day during your cruise stop, we'll work out one of the best private tours in Egypt you can get. Each of my tours can be tailored according to your specifications and with regard to your visiting schedule. Make sure to inquire my availability and provide a description of your preferences when contacting me. Also try to reach me in at least a week before your visit, otherwise there is a high chance that all of the dates will be already booked. Thank you for attention and hopefully we’ll meet sometime soon to enjoy a great tour in Egypt together. 1 - Please Do Not Contact Me Unless You Are Sure You Want To Book One Of My Tours Mentioned Here. Tour Is Fully Detailed And The Price Is In The Program. 2 - Tour Booking At Least One WEEK Before The Tour Starts. Shore Excursion Egypt: Cairo Two Day Tours From Port Said or Alexandria port, Giza pyramids Tour and Falucca Sailing Tour, Day Tour to Cairo from Luxor by Flight, Cairo Daily Tour (see the most you can of Cairo in one day), Cairo day tour from Hurghada by flight, Camel or Horse Ride Around The Pyramids, The Egyptian Museum Guided tour.